For the winter session, 120 students are attending the Children's Education Program at Surmang. The children of Surmang are back in session! 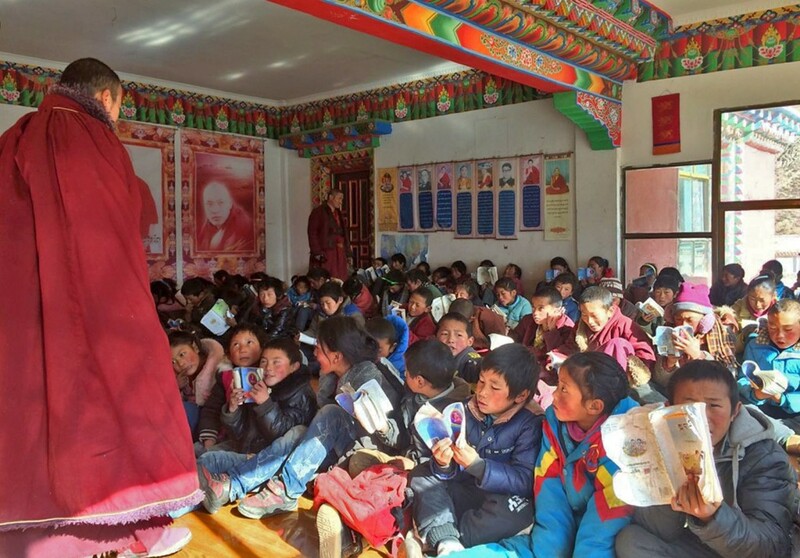 Right now, there are more than 120 girls and boys studying reading and writing in Tibetan, as well as basic math, this winter at the shedra. The children come from throughout the valley where Surmang Dutsi Til monastery is located. 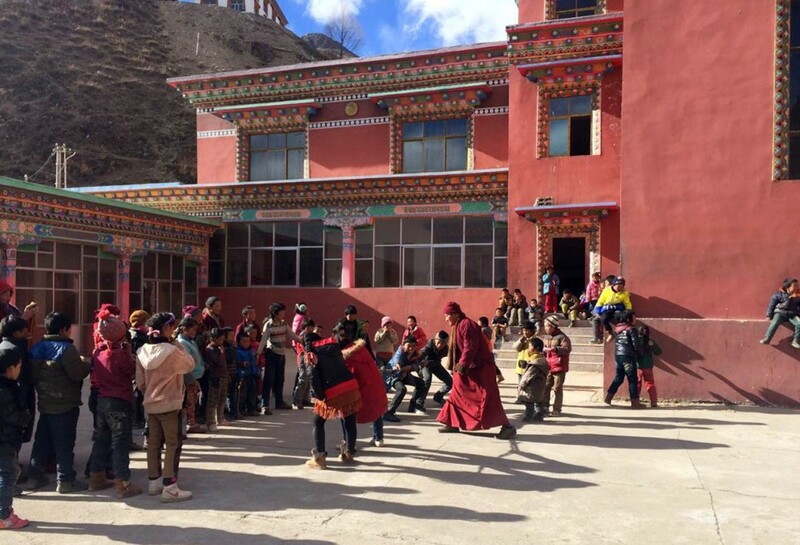 Classes are held in the classrooms on the second floor of the main building of the shedra complex, and monks serve as the instructors. 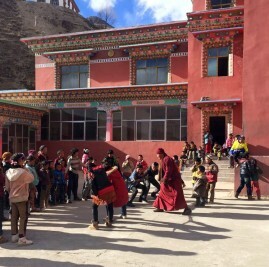 Recess happens in the courtyard of the shedra with playful sessions of tug and war between the girls and boys as well as other games. 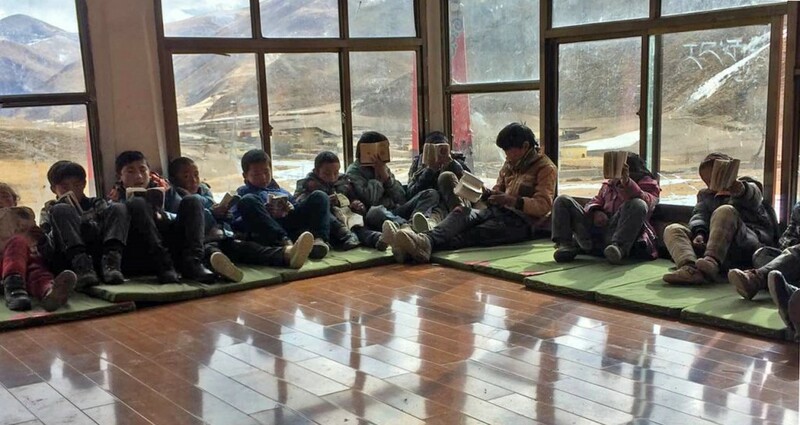 The children also have quite time to read and study in the shedra complex with windows looking out onto the Surmang valley.